What place does indigenous education have in your school? Tamara Bell continues her review of the World Indigenous Peoples' Conference 2011 (WIPCE). 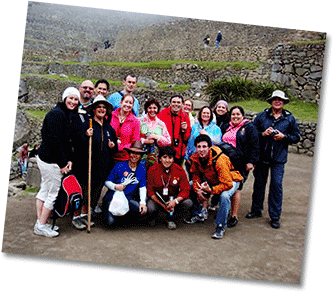 See Tamara's first post: Thank you WIPCE Peru!. In this post, she reflects on the five key areas she took from the conference, and poses some challenging questions. What value do you place on indigenous education? I want you to ask yourself as an educator, what value or place does indigenous education have in your school or workplace? WIPCE 2011 (World Indigenous Peoples’ Conference on Education) had me asking myself this very question. I know CORE Education understands the importance of indigenous education in the New Zealand education system. Their commitment and passion is obvious through their involvement in the PLD area of te reo Māori in English medium and Māori medium. Further proof of this is that they saw the value of supporting me to attend WIPCE this year. What makes WIPCE so special is that it not only makes you look at your own context and beliefs, but it also presents you with new insights into indigenous education, with a stance of looking to our past to learn how to move into a brighter future. The impact of colonisation is something tangible and real and must be identified and discussed openly before moving forward. Until the New Zealand education system better addresses the misconceptions around the Treaty of Waitangi, and explicitly teaches our tamariki about its importance and relevance to our nation’s history, we will continue to have conflict and prejudice about its worth and value. The struggles in equality for indigenous education are the same the world around. Ko te reo te mauri o te mana tangata whenua – the language is the life-force of indigenous people. 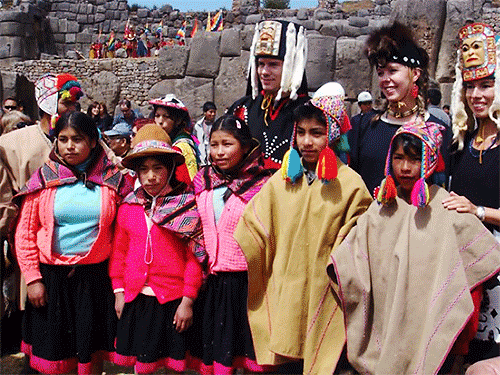 Indigenous education must be steeped in the language of the indigenous people. We must work to revitalise the language if we are to revitalise the culture. Learning and speaking it only in the classroom is not enough, the language needs to be in the home. The answer to language revitalisation is intergeneration transmission. The presentations I attended were inspiring, informative, and provocative. They forced me to ask myself those hard questions. I learned so much about what is happening in the area of indigenous education in places like Australia, Hawaii, Canada, Sweden and Peru, but, more specifically, what is happening in New Zealand. And like Pandora’s box, once it is opened, there is no going back. I had the chance to reflect on my experiences, knowledge and practice—have you? I would like to know what is happening throughout our classrooms, with those of you at the chalkface, working with our tamariki everyday. What are you doing to meet the needs of your indigenous students? The impact of colonisation here in New Zealand and across the world. In this interview, Tamara asks Rawiri to express his views on these two issues. Thank you WIPCE! Thanks for giving indigenous education a global stage and audience! 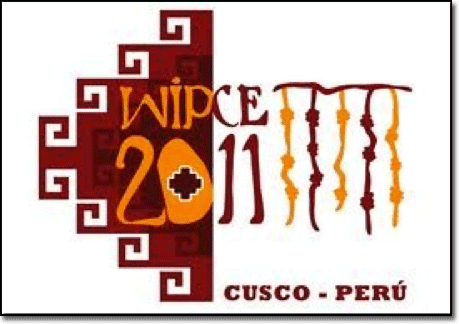 This August, with the much-appreciated support from CORE Education, I was lucky enough to travel to Cusco, Peru to be part of WIPCE 2011 (World Indigenous Peoples’ Conference on Education). This amazing three-yearly conference brings together some of the world’s leading indigenous organisations, students, academics, and professionals to share their stories and promote best practice for the development of programmes for indigenous peoples of the world. WIPCE has been running for 24 years, but WIPCE Peru was the first time a non-English speaking country has hosted the conference. As you can imagine, this brought several problems. It’s true, the organisation and communication could have been better, however, the local people and the city of Cusco made up for any frustrations we may have had. My colleague Dee Reid and I had the honour of presenting on our work Te Manawa Pou, an online te reo Māori programme for teachers in English medium schools Years 0-8. We were thrilled at the opportunity to share our methodology and experiences at an international level. We were rapt at the interest in our programme—many seeing our model as something that could easily be modified and implemented in any country, for any indigenous language worldwide. A colleague of mine asked me to sum up WIPCE in one word, which I thought was impossible. But when he pushed me for an answer, I had to say ‘whanaungatanga’. This is the Māori concept of a relationship based on shared experiences and working together. My professional and personal learning was immense, and I have now established numerous professional networks. But more importantly, I have made great friends from all corners of the world—all of them with a passion for and commitment to indigenous education, and all doing their best to make a difference. Whanaungatanga is a concept that we should all take the time to explore. I believe it impacts on us every day. It influences where we live, where we work, what we like to do socially, and most importantly, what we learn. Those around us—those with whom we share relationships—are shaping who we are. One particularly moving WIPCE workshop I attended was by David (Rawiri) Waratini-Karena. Part of his presentation was sharing his family history. He went back through four generations of his whānau, and his story of loss of language, loss of culture, the impact of violence, gangs, drug and alcohol abuse on his whānau, moved me to tears. The sadness of what his whānau had endured and suffered resonated greatly with me, as it is a common story for many Māori in Aotearoa. However, what brought home the inspiring impact of whanaungatanga is the path Rawiri is on now. Through his professional and personal relationships, coupled with his motivation and belief in himself, he has broken that pattern. 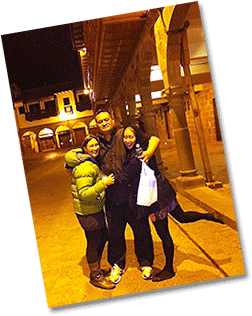 He is now a respected and inspiring lecturer at WinTec, currently working towards his PhD, and, thanks to WIPCE, someone who is now a much-loved friend. Whanaugatanga in action! Can you see whanaungatanga in your life? Can you think of an example of whanaungatanga in your professional or personal life that has had a profound impact on you? Is there something that has shifted your thinking, or even changed your life pathway somehow? Has there been a time where you may have been the one to form a relationship that has impacted on someone else in that way? Leave us a comment below and share your story in the true spirit of whanaungatanga, and build relationships so we all may grow. This was a trip of a lifetime. Thank you to CORE for allowing me this opportunity, and thank you to the people of Peru. Ngā mihi nui ki te tangata whenua o Peru me te rōpu CORE hoki. Nei te mihi aroha ki āku hoa hou ki te whenua whānui. I am a WIPCE fan for life, and I will definitely see you all again in Hawaii for WIPCE 2014! Tamara will follow up this review with a post about indigenous education. She hopes to include a video interview with the above-mentioned Rawiri Waratini-Karena.